It’s always much more fun to put up the Xmas tree than take it down. It is one of those January chores that I tend to put off. This year I had an official excuse to extend the stay of our beautiful Xmas tree until last weekend when the city held its annual Mulchfest. 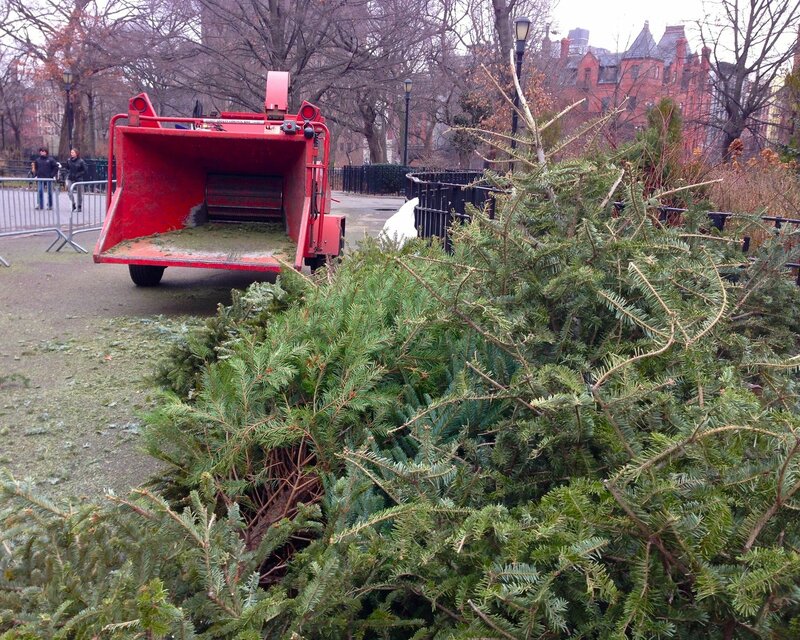 Xmas trees are collected in parks and chippers are brought in. The trees are churned into mulch for the parks. 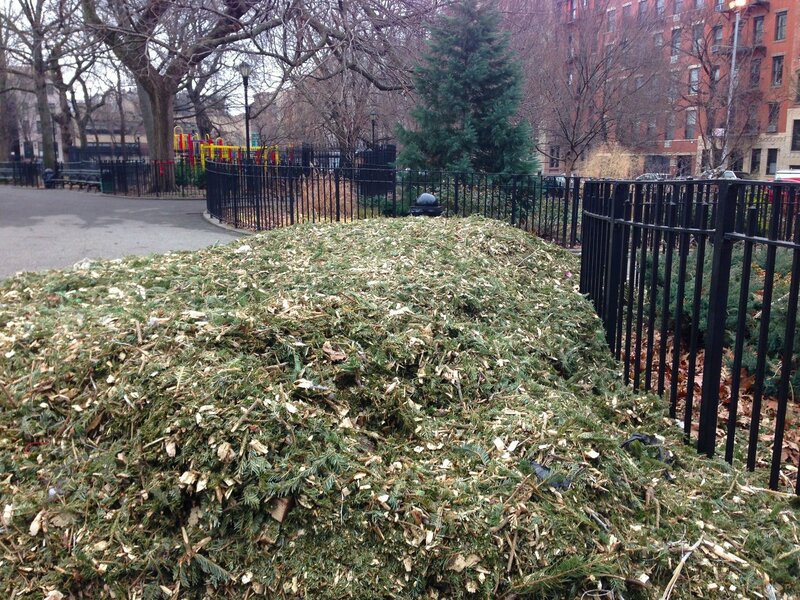 They also hand out bags of mulch to New Yorkers for their gardens and window boxes and the street trees that so many folks tend to. 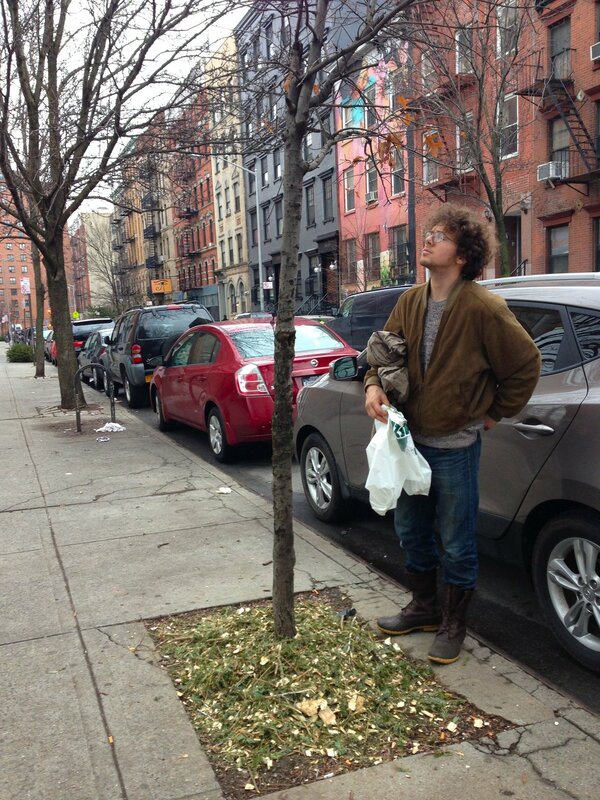 Oona’s friend Jackson helped me out with this January project and we walked our tree over to Tompkins Square Park. 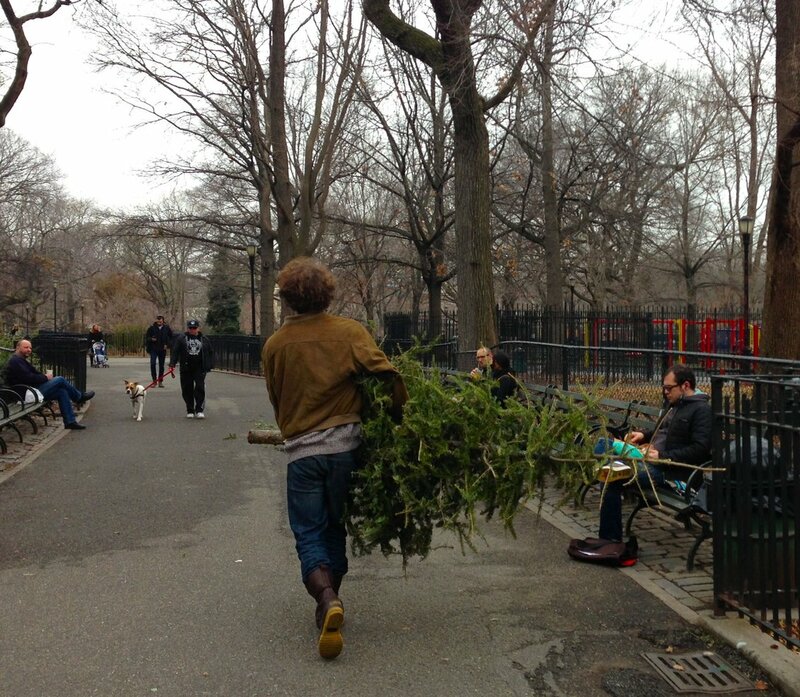 The smell of Xmas trees engulfed the park and wafted out to the avenues. What a happy smell! We were also treated to a sighting of the resident red-tailed hawk swooping in and around the ancient trees. I picked this forlorn little street tree for our mulch. 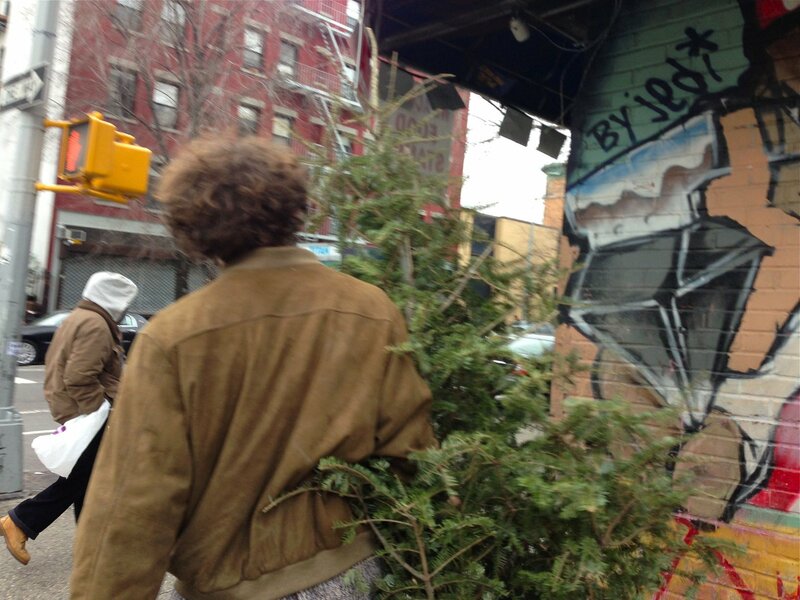 This entry was posted in loisaida - the neighborhood and tagged christmas tree recycling, holiday tree recycling, mulchfest, mulchfest tompkins square park, treecycle by ileana. Bookmark the permalink. Careful not pile that fresh mulch up around the bark of the tree. Good to know! I will make adjustments. Thanks for the tip. Lovely that you’ve marked Mulchfest here! We participated last year when then Parks Commish Benepe and Rosie Mendez made it a punfest. (“Thank you very mulch for treecycling.”) But I was hanging onto the tree this year, waiting for Clara to have one more free night to relax together by its glow. Still waiting! My dad customarily took our Wisconsin tree down on Groundhog’s Day but I think that’s pushing it in an 1886 NYC tenement officially deemed “combustible”! I’ve let it go till February too.